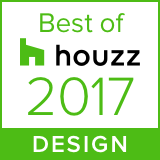 The attention to detail in our award winning floor plan will blow you away! Let's begin with the basics; this home features 3,702 square feet of innovative space, 4 bedrooms, and 3.5 baths. As far as upgrades are concerned, where do we begin? From the outside, you will first notice the full front porch with exposed rafter tails, the stamped concrete driveway and sidewalk, as well as the Board and Batten. The Potomac's black windows provide great contrast with the white exterior! In the foyer, and throughout much of the house, you will see extensive use of shiplap accents. 7" extra wide hardwood floors soften up the feel of the home. Does your family entertain? a 10' wide kitchen island that is open to the family room and dining room should help with that. If that's not enough, let the party spill out onto the back porch and patio with a lighted pergola! As you walk up the 54" wide stairs, the true scope of this home begins to take shape! Each bedroom is well proportioned and designed to fit your family perfectly! You may have a hard time looking away from the master suite. French doors lead you into your own private oasis!